At the core of what we do, we take care of your home like it was our own. Our goal is to ensure that your experience of owning a home in the mountains is about the moments shared with loved ones and the memories created and is not diminished by the potential challenges of maintaining a home in an extreme alpine environment. Professional home care ensures that your home is protected from day-to-day risks and unexpected maintenance problems. To do this takes an experienced, diligent and skilled team of property management specialists with the resources to meet every eventuality. Our 20-year reputation for integrity and trust is built upon attending to the details and not cutting corners. Our staff are locals with deep roots in the community who care about your ultimate satisfaction. Our focus is on quality not quantity ensuring that we consistently meet the highest standards. Moving Mountains private home management team will plan for and arrange manage maid services and supplies to service your home according to your individual needs. Regular and seasonal housekeeping to a high standard ensures the best experience for you and your guests. We provide professional and skilled maintenance services to meet the upkeep needs of your property. Our staff are hand-picked for their skills, reliability, trust, and integrity. Regular inspections ensure that quality standards are maintained year-round and custom preventative care programs help protect your valuable home investment. Inspections are fully documented on an iPad using our proprietary custom inspection software ensuring reliability and accountability. We are reachable 24-7 for any needs including emergency and after-hours concerns. Moving Mountains will receive and deliver Fed-Ex and UPS packages to your home. Any problems are promptly reported to you so that repairs are conducted to fix the problem with minimal disruption of your property. With your property management contract, you have access to our network of proven suppliers and vendors ensuring that you will receive the best care and value for services provided to your home. We will help secure bids for contract services including interior and exterior painting, carpet cleaning, drapes and upholstery maintenance, spa services, audio-visual, electrical, plumbing, HVAC, appliance repair, roofing, snow removal, and landscaping. All expenses are accurately reported on monthly statements. Owners can view statements online via our online portal which also allows for scheduling of Owner and Guest of Owner stays. Moving Mountains will receive invoices and statements and schedule payment of local utilities and expenses associated with your home to be offset against your working capital balance. Our 20 years’ as luxury vacation specialists means that you will also have access to the best concierge team in the area to help you plan the perfect stay in your home. They will assist in making dinner reservations, lift tickets, private instruction, ground transportation, booking tee times, rafting, fishing, horseback riding and any other activities that might make your stay more enjoyable. 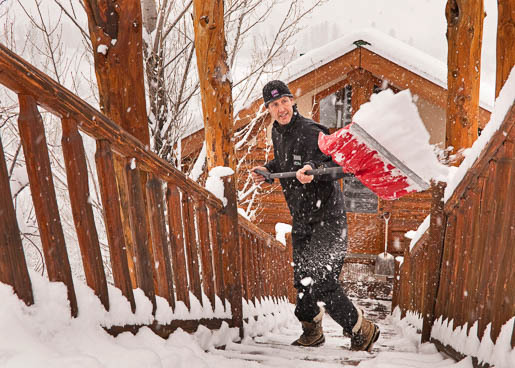 We also have exclusive access to the Spa at One Steamboat Place and Black Tie Ski Valet at Ptarmigan. 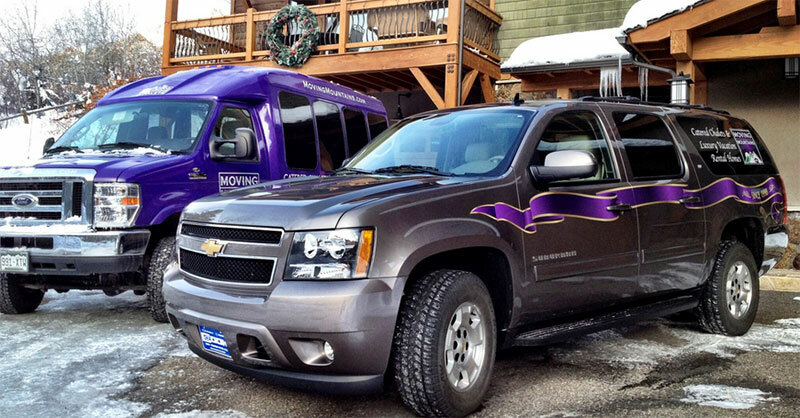 Our 4WD Suburbans and mountain shuttles provide a variety of options for owners to reach their home from the local airports at Steamboat and Hayden or to access the ski trails. If you have private vehicles these can also be delivered to the airport in advance of your arrival. We will also handle all aspects of annual vehicle maintenance including oil and tire changes. To save you valuable time at the grocery store we will stock your home in advance of your stay with all the food and beverage items you will need. Let us help with holiday decorations, fresh flowers, personal errands, mail collection and car detailing while you enjoy your home. Our team of skilled chefs can cater to a wide range of menu and dietary preferences allowing you the opportunity to relax while hosting friends and family at your home. 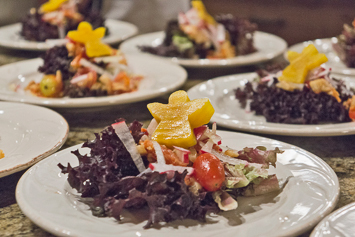 We offer everything from a fully catered and hosted stay package including private vehicle service, daily housekeeping, house staff and catering throughout to individual event catering and meals for special occasions and parties. If it’s not on the list just let us know and we’ll do our very best to help you! In over 30 years of hospitality and private home management, we have developed a wide range of skills and resources that allow us to Move-Mountains on a regular basis.